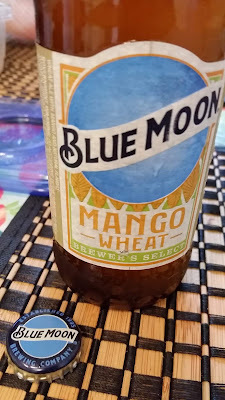 Blue Moon Mango Wheat - AoM: Beer et al. In any case, the beer had a mango smell. At the last sip, I decided that I liked this Blue Moon Mango Wheat more than Blue Moon Belgian White. 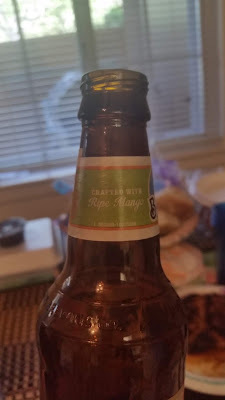 I rate it 3.9 out of 5 stars. Food Pairing: Shrimp or chicken with mango salsa, curry, French vanilla ice cream.